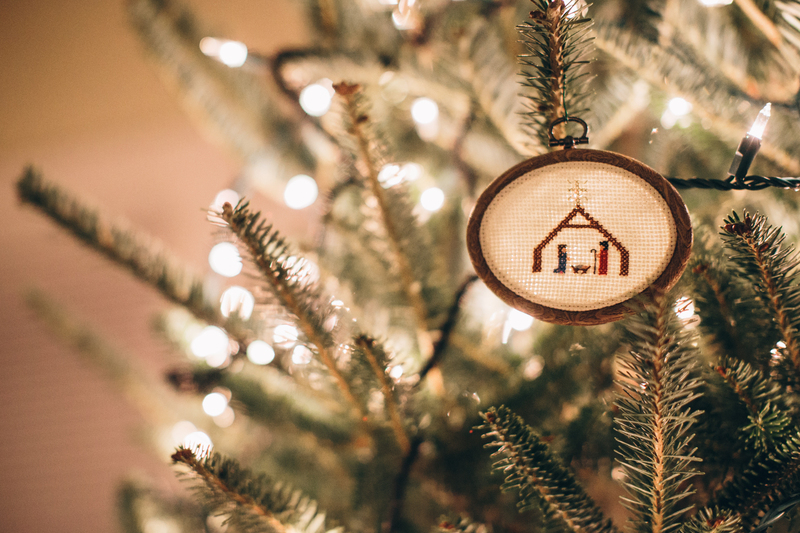 Stretching Christmas | Theopolis Institute | Bible. Liturgy. Culture. For many people Christmas comes on December 25 and is over December 26. The tree is taken down along with the lights and the other decorations, and everyone begins setting the house in order for the new year. No more Christmas hymns. No more celebrations (well, until New Year’s Eve). Christmas comes but once a year – and thanks be to God, because we’re exhausted! So, if I were to ask, “How’s your Christmas going?” most people would give me the blank stare. But according to our calendar (and I mean the Church calendar), Christmas is just getting started on December 25. Christmas day is just the beginning of a “season” numbering twelve days (the “twelve days of Christmas”). During this season of celebration we remember not only our Savior’s birth (the feast of the Nativity on December 25) but our first martyrs (St. Stephen, December 26), St. John the evangelist, and the murder of the boy babies in Bethlehem by Herod (“The Feast of Holy Innocents”). Then on January 1, we commemorate the circumcision of Jesus (circumcised on the 8th day). All that before closing out our celebration of Christmas with the Feast of Epiphany on January 6! Christmas is intended to be a “season,” not just a day. Well, granted, given the way things are presently, changing our practice and getting into the new rhythm of the Church calendar is going to take some time — and realistically, it may now be impossible to turn the culture away from the present “tradition.” I’m not quite sure how to go about it or what it would look like. But somehow, I think it would be good to try to get back to the old rhythm of the Christmas season. The fact that we have lost the rhythm of the various “seasons” has contributed, at least in part, to the fleeting joy (and often extended depression and disappointment) we have during these times — and here, I’m speaking especially about Christmas — the celebration is simply too brief to be appreciated fully. The traditional Christian calendar gives us a different rhythm for life and time — especially Christmas time. And following the Christian calendar is not just another way to thumb our noses at secular ideas of the “Christmas season.” The twelve days are important because they give us time to reflect on what the incarnation and birth of Jesus means. We need the twelve days to celebrate the wonder of God becoming man and all that was accomplished by our Savior. Why twelve days? No one knows for sure. Perhaps this was to be an analogy to the twelve tribes of the old Israel that have now been transformed into the new Israel. Or maybe the 12 days signify the twelve months of the year pointing to the fact that Christ is with us not just one day but year-round. Whatever the intention, the twelve days give us an opportunity truly to rejoice and reflect on the great mercy and grace of God in giving us His Son. We have been baptized into Jesus’ death and resurrection and have now entered the “new heavens and new earth” (though not yet perfected). Whether we are called to martyrdom, or to prophetic witness, or simply to faithful living in the joys and sorrows of our daily lives, we must live all of our days in the knowledge of our blessedness: redeemed by Jesus and in Him made acceptable and beloved in God’s sight. We are part of the society of people whose world has been turned upside down, and we are to live out this truth that overturned the old world and made all things new. So, I don’t know exactly how to begin to do this, but it sure seems like a good idea to me. Stretching Christmas out over a number of days — making it a more full (and perhaps a more relaxing and refreshing) celebration — might bring far more benefits than frustrations; it just might bring us more joy than worry; more peace and less hustle and fuss. Whaddaya say? I think we should give it a shot. Steve Wilkins is Pastor of Auburn Avenue Presbyterian Church in Monroe, Louisiana.